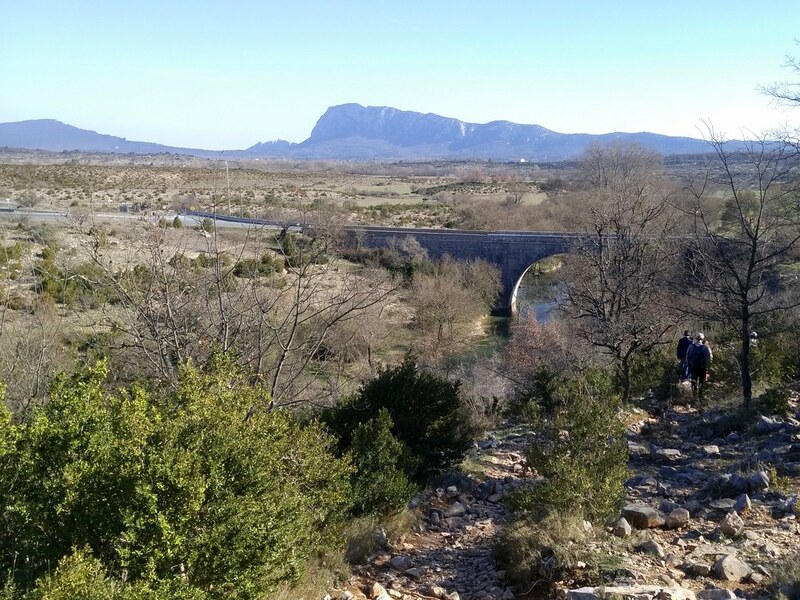 Sunday, 26 February, we went hiking with friends at the Ravin des Arcs near Saint-Martin-de-Londres. 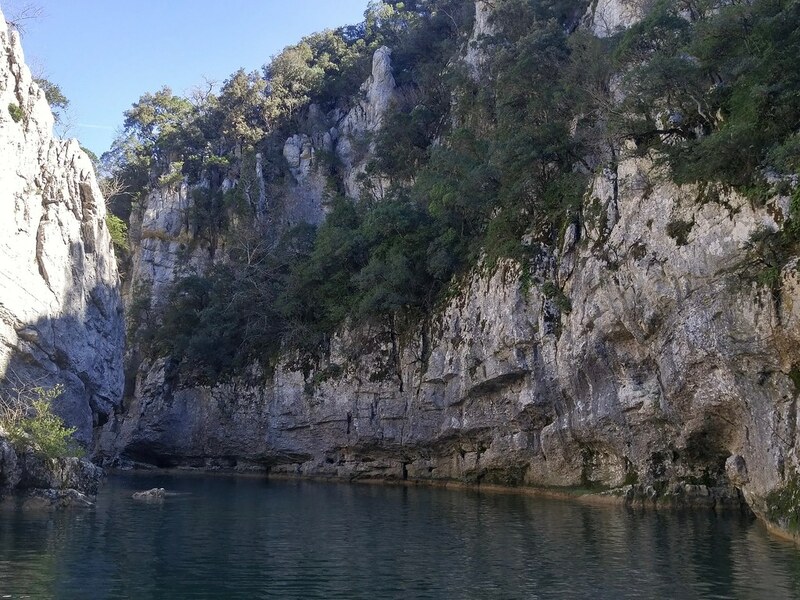 This narrow canyon has been carved in Jurassic limestone by the Lamalou, a short (16 kilometer) tributary of the Hérault River. 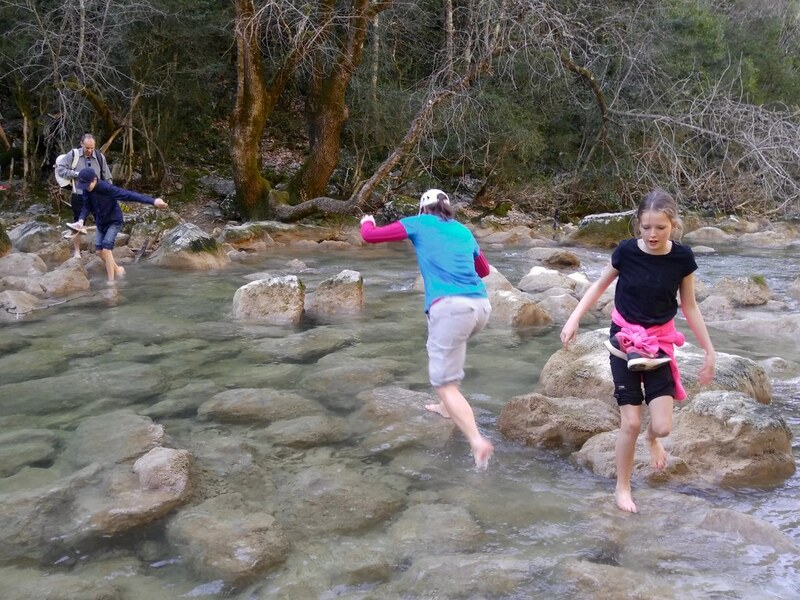 The Lamalou has formed a short series of lovely falls, slides, and plunge pools. 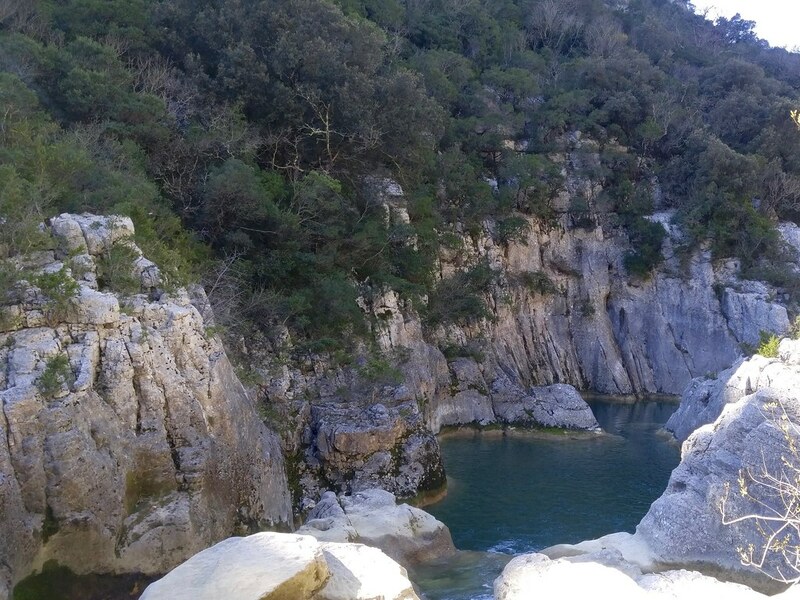 Like the nearby Hérault and Lez rivers, the Lamalou is greenish. 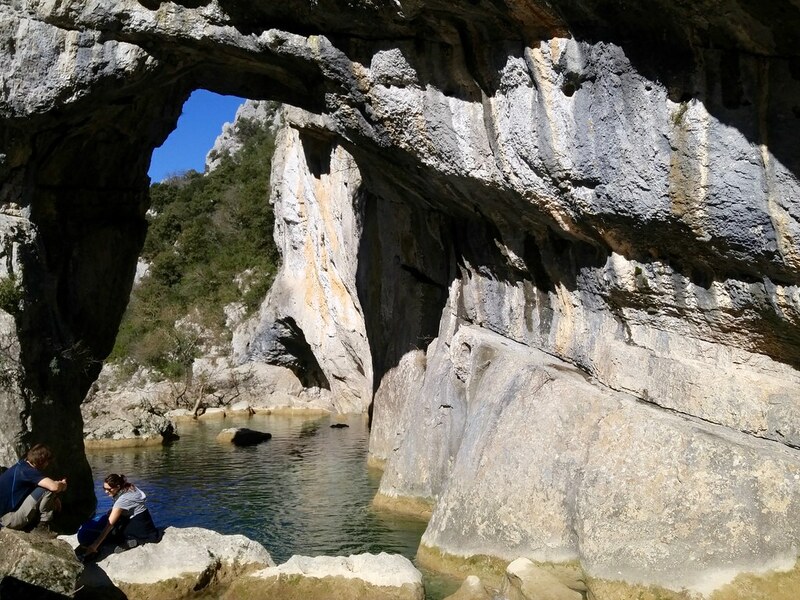 This canyon is called the Ravin des Arcs because of this large natural arch spanning the channel and other smaller arches in the adjacent cliffs. These pools look like the ideal place to spend a hot summer afternoon, do they not? Sadly, because of its short course and the lack of rain in the summer months, the Lamalou dries up in May or June. You can see in the following photo that the water level has already been dropping quickly in February. We had no trouble crossing with bare feet. On the way back to our cars at the end of the afternoon, we had a very nice view of the Pic Saint-Loup, the 2000 foot promentory that overlooks Montpellier, from the northwest. The source of the Lamalou is at the base of the mountain. I found the Ravin des Arcs to be one of the more interesting natural sights near Montpellier.